Local community and student filmmakers will showcase their recent and in-progress projects at 1:10pm in the EOU Schwarz Theater. 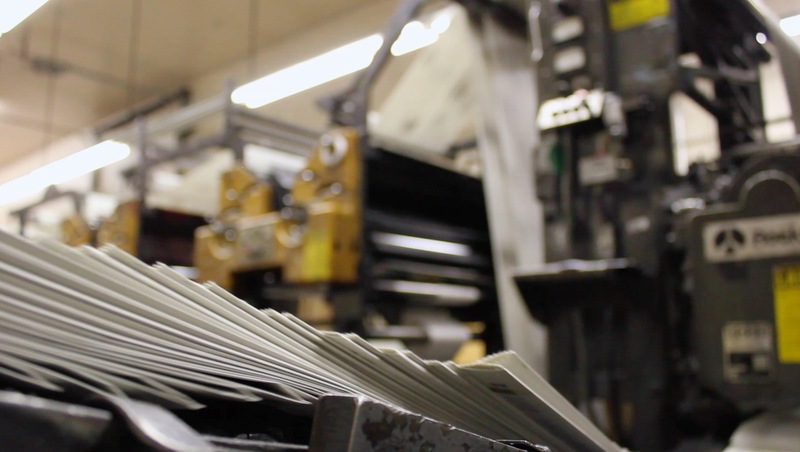 Tim Mustoe’s documentary THE PEOPLE BEHIND THE PRINT, about The La Grande Observer, will be featured. In addition, filmmakers Will Bowman, Brent Clapp, Chuck Peters, Dylan Lutcher, Fernando Moreno, and others will also showcase their films. The showing will be followed by a panel with the filmmakers about film and media production at EOU and the Grande Ronde Valley. The event is hosted by Eastern Oregon Theater Club in partnership with the Eastern Oregon Film Festival. Admission is $7 regular, $5 student, festival pass holders are admitted FREE.